President Muhammadu Buhari, Thursday, declared that the allegation that he is favouring one religion over the other is far from the truth. He said all through his public life, he had never contravened his oath of office. This was as he called on religious leaders to work towards the broader goal of building a strong and unified nation, and avoid insinuations that could divide the populace, especially along religious lines. But the President, while receiving a delegation of the Arewa Pastors Non-Denominational Initiative for Peace in Nigeria led by Bishop John Abu Richard, stated that religious leaders had the responsibility of creating an enabling environment for peace and development to thrive. “This was not by design but I appointed people on their merit without the slightest bias. 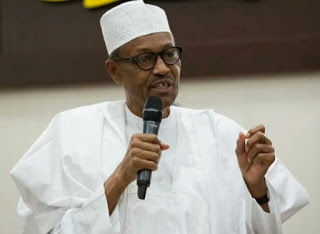 The present Federal Executive Council is also evenly balanced; again not by design but by respecting and rewarding individual qualities,’’ Buhari said, according to a statement issued by his special adviser on media and publicity, Femi Adesina. The President expressed delight at the proposition to hold a one day prayer and fasting meeting for the nation, April 26, 2018, assuring that he would direct the Inspector General of Police to provide adequate security for the gathering. Richard urged other pastors to support the administration as it works towards ending the violence in various parts of the country and avoid politically coloured sermons.